Pastor Priji converses with Pastor Robin Singh on the importance of evangelism and the role of a Christian leader in a secular domain. Pastor Priji Varghese: What is your passion in life? What is your goal? Pastor Robin: My vision for my life is to serve God with my all capacity in obedience, to serve God instead of ministry and other men of God. Pastor Priji Varghese: What are the various roles and responsibilities that you have? Pastor Robin: I am a husband and in my marriage I must show Jesus. As a father, I need to teach my daughter right from a young age. Pastor Priji Varghese: What other responsibilities do you have? Pastor Robin: Mostly in my job, I have been a leader where I had people looking up to me wanting to learn. It is an important role because if I do anything wrong people think that what I do is right and adapt to it. Pastor Priji Varghese: What is your role in Revive Nations? Pastor Robin: I lead the web administration. We make sure the websites are running, keeping them updated. We try making them better so that more people can benefit from the resources available. Pastor Priji Varghese: Would you say that having a website is necessary in this world of technology? Pastor Robin: It is good to build your online identity but it depends upon the people you are reaching. To reach to people of the rural areas, you need to use resources available to them. But if your ministry is among the youth who are online often, it becomes helpful to have a website. Pastor Priji Varghese: When did you start evangelizing and what inspired you to do it? Pastor Robin: I faced challenges like many people do. I was quite shy. I was part of a ministry where we went to villages to share the gospel. But I was still not confident enough to do it on my own. There was an instant later when I realised that people are hungry and want Jesus. That motivated me to share the gospel. I realised that every person I meet is an opportunity to share the gospel and if I don’t they might never hear it from anyone else. Pastor Priji Varghese: Have there been times when you were unable to share the gospel with someone you really wanted to? Pastor Robin: Yes, there are times it happens. With some people you can directly tell the gospel, but others you have to befriend and build the relationship before you do so. There is no success or failure in evangelism. You just have to share the gospel regardless of the results. Pastor Priji Varghese: What tips would you give a person who is shy or not confident to share the gospel? Pastor Robin: Firstly, you need to realise your shortcomings and ask God to help you overcome the fear. Then you have to go and practice. You get better at sharing the more you share. Let it become a habit an then a routine to you. Do not be ashamed of the gospel. Know what you are sharing is a treasure and that it is eternal. Pastor Priji Varghese: Realising the value of the Treasure gives you the confidence you need. Compassion and love should also grip your heart. Pastor Robin: You need to have a humble and compassionate heart. You mustn’t do it out of compulsion but because of the love you bear so that the soul is saved for eternity. 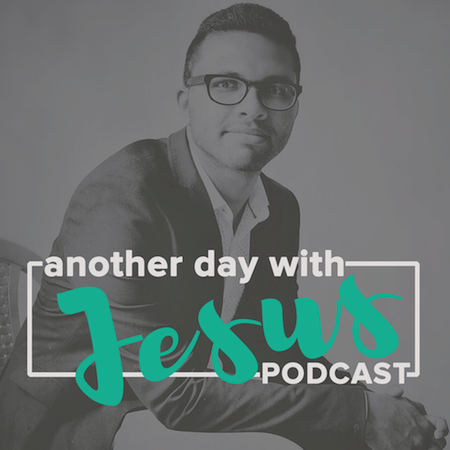 Pastor Priji Varghese: How do you see revival being connected with evangelism? Pastor Robin: Revival is spiritual awakening. To do that, people need to know the true God. Once evangelism is done, they need to grow as a disciple. Revival is what happens as they grow, like a cycle. Pastor Priji Varghese: Revival is a chain reaction. Sending a revival is God’s responsibility, evangelism is ours. Pastor Robin: We need to make people hungry for revival and when it does come, it has to be sustained. Pastor Priji Varghese: What are your ministry ambitions? Pastor Robin: My ministry ambition is to teach people. As a teenager, I wanted answers that were not provided. I would like to provide the answers that I learnt the hard way. I see planting churches and raising leaders in them. Pastor Priji Varghese: How do you balance your secular job and the ministry? Pastor Robin: Your workplace is one of your biggest ministry. Have a Christ-like character that would pave the way to share about Him to the people around you. Not everyone is called into full time ministry. Ask God for His will to be done in your life. He will help you and you will bear much fruit. Do not do it because someone else is doing so. Never imitate someone else’s ministry. God calls you by name and you are unique. Your ministry is unique too. Your motivation should be Jesus. Pastor Priji Varghese: What is the one thing you have learnt from your mentor Pastor Shyju? Pastor Robin: He was very honest and passionate about Jesus, which encouraged me in my walk with God. Pastor Priji Varghese: Any concluding points you may want to share? Pastor Robin: Work hard, be honest. Encourage others. Keep pursuing Jesus. Seek His Kingdom first. Seek to be like Jesus.